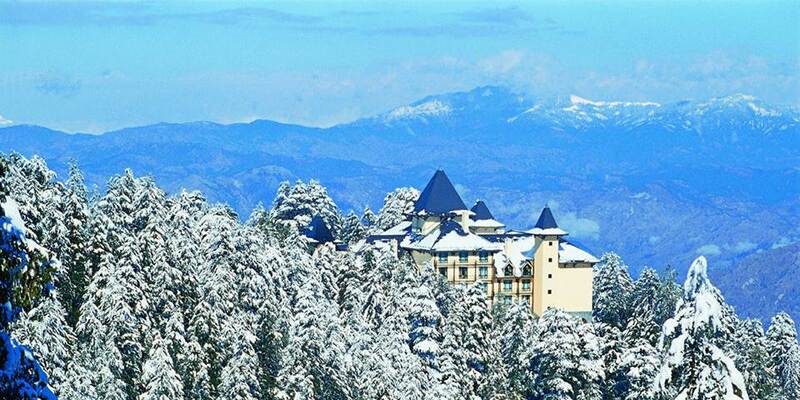 This fairy tale luxury resort 8,250 feet high in the foothills of the mighty Himalayas is a picturesque 45 minute’s drive from Shimla, the capital of Himachal Pradesh. Set in 22 acres of virgin woods of pine and cedar it is the former residence of Lord Kitchener which has been rebuilt to recreate the grand style of the colonial era. 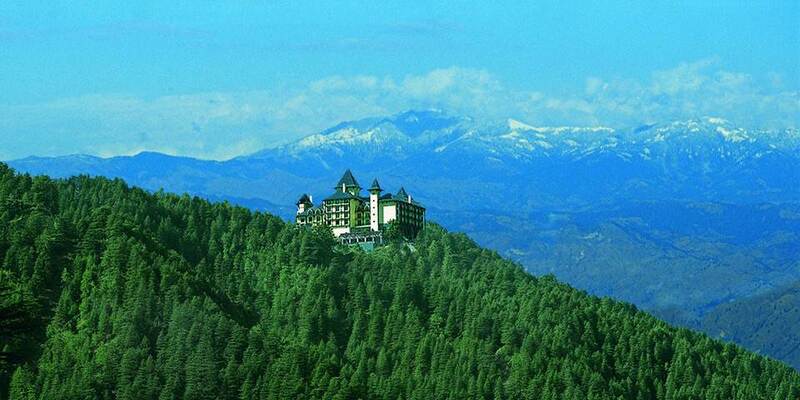 From its vantage point, the hotel looks out onto a magnificent vista of rugged mountains, snow clad peaks and verdant mountains. The restaurant at Wildflower Hall has a large open air terrace offering panoramic views over the mountains; guests can enjoy a range of Pan-Asian and continental dishes while enjoying some of the most breath-taking scenery in the world. For a more intimate private dining experience to celebrate special occasions, Lutyens, with its old world interiors and views of the gardens is the ideal venue. For aperitifs or after dinner drinks, the Cavalry Bar with wood panelling and original artwork, which reflects its gracious past, creates an aura of old world charm. Trekking through mountain trails fills the senses with the scent of the earth. Thrill to the rush of water while rafting over the surging River Sutlej. Ride with the wind on a mountain bicycle through picturesque paths that go on a journey of discovery. 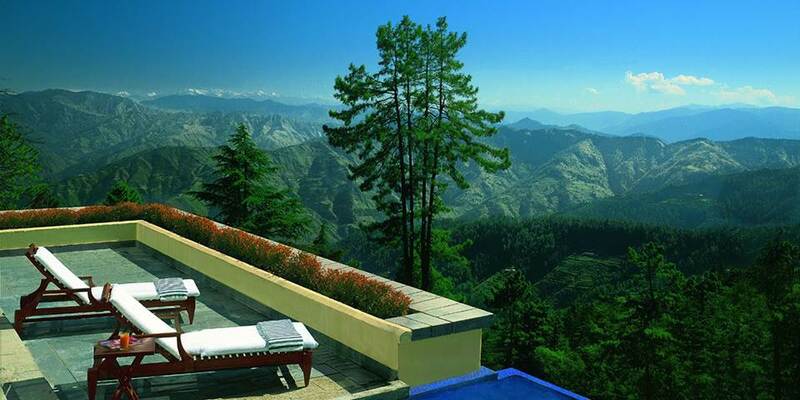 On the other hand just enjoy the spirit of the mountains within the exclusive environs of the resort. Test skills at croquet, billiards and archery or spend an evening in the Card Room. At the end of a hectic day, relax in the magnificent heated indoor swimming pool or indulge in the exclusive Spa. Whether in quest of adventure or an easy-paced experience, the Wildflower Hall promises a holiday full of surprises and unforgettable memories. 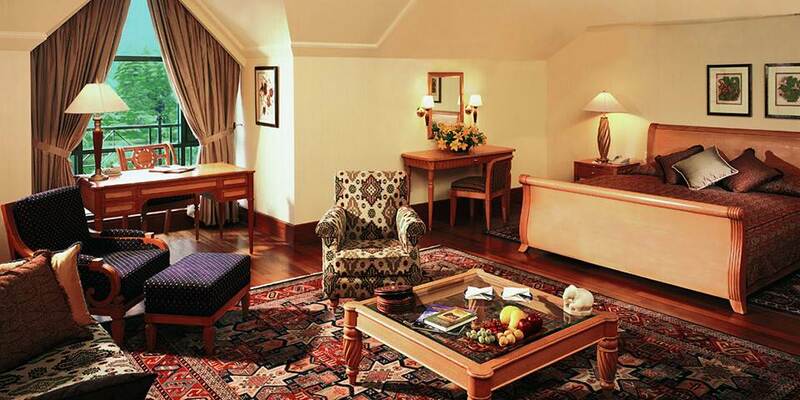 Guest rooms are appointed with teak floors, hand-knotted rugs and rich furnishings which reflect the colonial heritage of the hotel and respect the traditional skills of local craftsmen. Each of the 85 rooms and suites has spectacular views over the surrounding scenery and comes with bathtubs and separate showers. The Premier rooms have large bay windows offering beautiful views of either the landscaped gardens or the surrounding mountains. Deluxe suites offer even more luxury with each having a separate living room and bedroom and stunning views of the mountains and cedar forests. 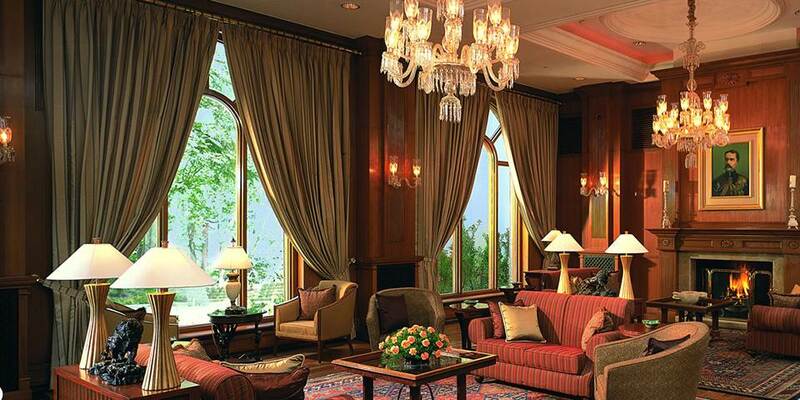 The crème de la crème is the Lord Kitchener Suite; high on the 4th floor it has incredible views of the Himalayas. It features a separate living room and two bedrooms with dormer roofs. This grand suite has a four-poster bed in the master bedroom. The living room has a fireplace for cooler evenings and an additional guest bathroom.